Will Oculus Rift Work With Xbox One? That’s actually quite a popular topic, but there is a bit of confusion as to what works and what doesn’t. Let me break it down. Yes, you can use Oculus Rift and play all the Xbox One games. No, it will not be like on PC where you are literally in the game. By that I mean, there is an app that Xbox developed for Oculus that lets you connect your Rift, PC and Xbox One together that share the same network, and then play it. But it will be like playing a game in the cinema. You would put on the headset, and you have 3 different surroundings to choose from. In this surrounding, you have a huge screen that basically plays all the Xbox One games. Do I like it? No, I absolutely hate it, it’s quite stupid apart from specific tasks. Plug in the Xbox One Controller. 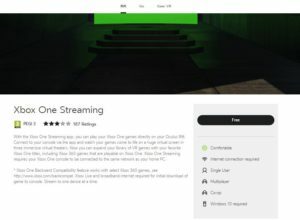 Go to Oculus App Store and find “Xbox One Streaming“. Download and install it. For quite many people, it doesn’t even work properly since it stops either at the beginning of the install process or somewhere in the middle. If it installs properly for you, consider yourself lucky. Make sure that your Xbox One is turned on and on the same network as PC and Rift. Ethernet cable works best for that. Turn on the “Xbox Streaming app”. Choose what surrounding you want. 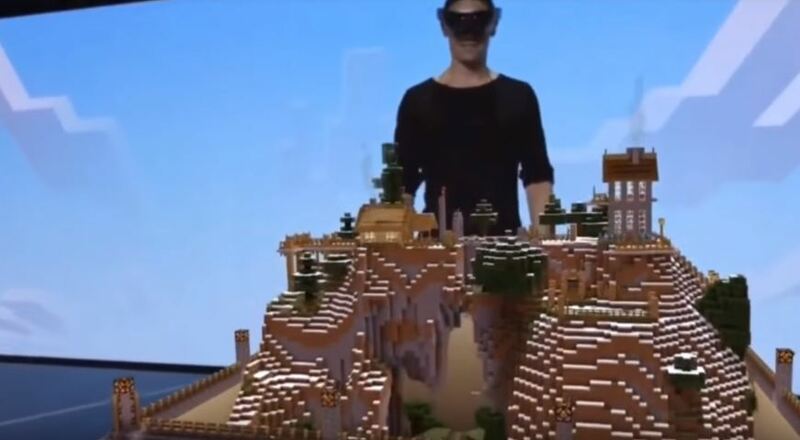 I understand, Xbox had to somehow connect themselves to virtual reality, and what better way to do it than by watching a huge TV inside the virtual reality that streams your Xbox game, right? There is a slight inception going on, and because of that, I don’t really see a huge point in this program. Yes, you can use it for size enhancement, but for regular people who already have a decent monitor, it’s quite useless. I only recommend “Xbox Streaming” to people who have a small monitor, or a monitor so bad that it’s better to watch the screen through Oculus Rift. It might also be useful for those who have a lot of distraction around them. Even then, I’d say there are better programs for streaming Xbox games. 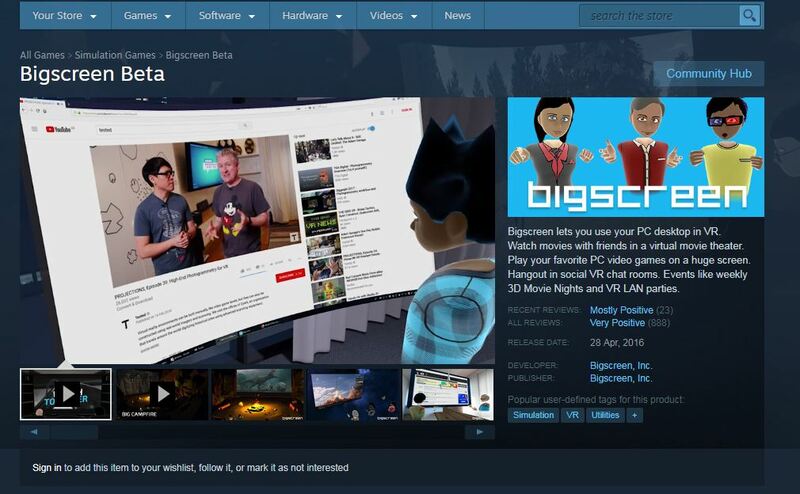 My personal recommendation would be “Bigscreen Beta“(free download) that allows you to stream all console games and watch all the movies in VR with better image quality and crispiness, as well as do everything mentioned above with your friends inside the same virtual room. 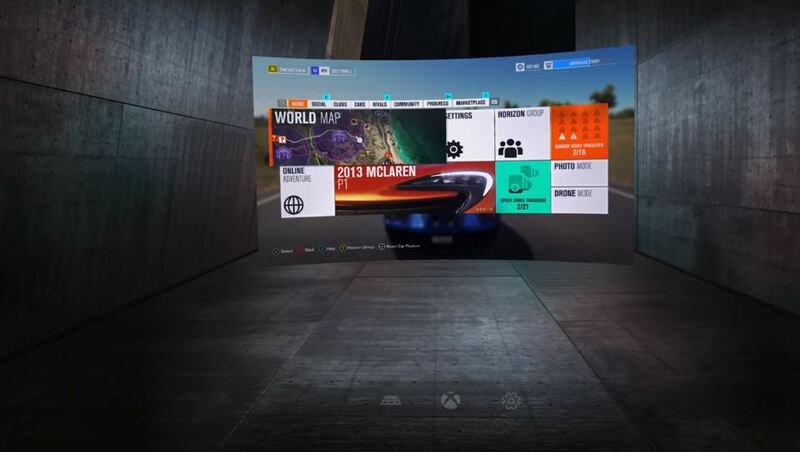 Yes, you can do stuff on Xbox Streaming like change your scenery or adjust the curviness, size, the distance of your display, but all of these things can be done on Bigscreen Beta also. I am actually a bit ashamed they did such a horrible work or at least left it unfinished considering how big of a company they are. Will Oculus Rift and Xbox ever work together like PS VR? That’s the main question, right? What is taking them so long? In 2016, people actually expected that Xbox One “X” version would support Oculus Rift, especially considering that Oculus Rift literally comes with an Xbox controller. That merge would have been perfect. In that same interview, he was actually talking about streaming Xbox games to Oculus Rift, but he didn’t make any mentions of creating a personal VR headset or allowing Oculus Rift to play Xbox games (like vorpx allows to play regular games in VR). To summarize, he basically confirms that he wants to focus on Windows side and make Windows 10 the best platform for VR gaming. they’ve seen what we’re doing with HoloLens, we talk to the Valve guys all the time. because the market is years away, but we want to be ready for it”. This is the first time he mentions of competition. Despite an enormous success of PS VR, he doesn’t think that VR is yet ready for everyone. Microsoft is focusing on mixed reality though, and despite the negative reviews of Hololens, they still believe it to be the future. If we talk about the power, then Xbox definitely has what it takes to run VR, so there are no problems there. The only problem for them is where they allocate resources. At the moment, it’s either the software side or mixed reality. 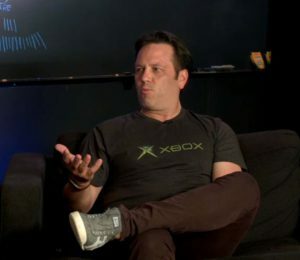 But what will Phil Spencer say in E3 2018 that is just a few weeks away? Will they announce something juicy in terms of VR? Till this moment, Phil has been rather evasive when VR gets mentioned, so we’ll see what they have up their sleeves. Maybe they’ll surprise us and say they have been working on something! I’ll be following E3 closely this year and I will update this article as soon as there is some new information on Xbox One, and if it will work with Oculus Rift. I really think microsoft is missing out, if they´d make the oculus rift compatible with xbox one they´d up their sales for xbox one plus I belive there´s a lot of ppl who would really rather try that out than the PSVR. That was also my initial thought. I am sure they have resources to do that so I can’t really see the reason not to. Guess time will tell if Microsoft wants to take some budget out of AR and invest into VR like everyone else.